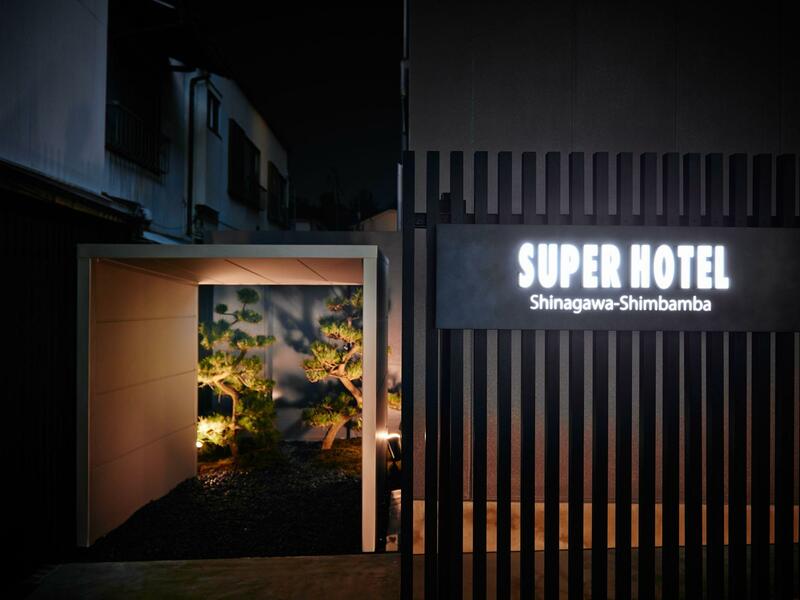 Ada pertanyaan untuk Super Hotel Shinagawa Shinbanba? Dibangun pada 2014, Super Hotel Shinagawa Shinbanba adalah pelengkap yang nyata di Tokyo dan pilihan yang cerdas bagi para wisatawan. Terletak hanya 1.3 KM dari kehebohan pusat kota, hotel bintang 3 ini memiliki lokasi yang bagus dan menyediakan akses ke obyek wisata terbesar di kota ini. Dengan lokasinya yang strategis, hotel ini menawarkan akses mudah ke destinasi yang wajib dikunjungi di kota ini. Super Hotel Shinagawa Shinbanba menawarkan pelayanan sempurna dan segala fasilitas penting untuk memanjakan para wisatawan. Ketika menginap di properti yang luar biasa ini, para tamu dapat menikmati WiFi gratis di semua kamar, layanan kebersihan harian, binatu (laundromat), layanan taksi, fasilitas untuk tamu dengan kebutuhan khusus. Suasana Super Hotel Shinagawa Shinbanba tercermin di setiap kamarnya. teh gratis, handuk, lantai karpet, sandal, televisi layar datar hanyalah beberapa dari fasilitas yang dapat Anda nikmati. Hotel ini menawarkan berbagai pengalaman hiburan unik seperti pemandian air panas, pijat. Apapun alasan Anda mengunjungi Tokyo, Super Hotel Shinagawa Shinbanba adalah tempat yang sempurna untuk liburan yang menyenangkan. Check-in tidak memungkinkan setelah pukul 11:00 PM. Tamu yang datang di luar waktu check-in yang telah disebutkan diwajibkan menyediakan informasi perkiraan waktu kedatangan pada kotak Permintaan Khusus di saat memesan. Biaya tambahan akan dikenakan apabila jumlah tamu pada saat check-in lebih banyak dari jumlah tamu di dalam pesanan. Okupansi maksimum kamar termasuk jumlah seluruh anak dan tidak dapat lebih dalam kondisi apapun. This is the first hotel that I've come across where you get to pick your own pillow (and for female guests, 5 gift items per night stayed. Consisting of flavoured teas, face masks, mouth wash etc) You also get perks for not using the toothbrushes provided on your room (free gift from reception) a free bottle of water if you don't get your room cleaned. Very modern room card (pin code for your room) The hotel really did try and promote being environmentally friendly, reducing waste where possible. 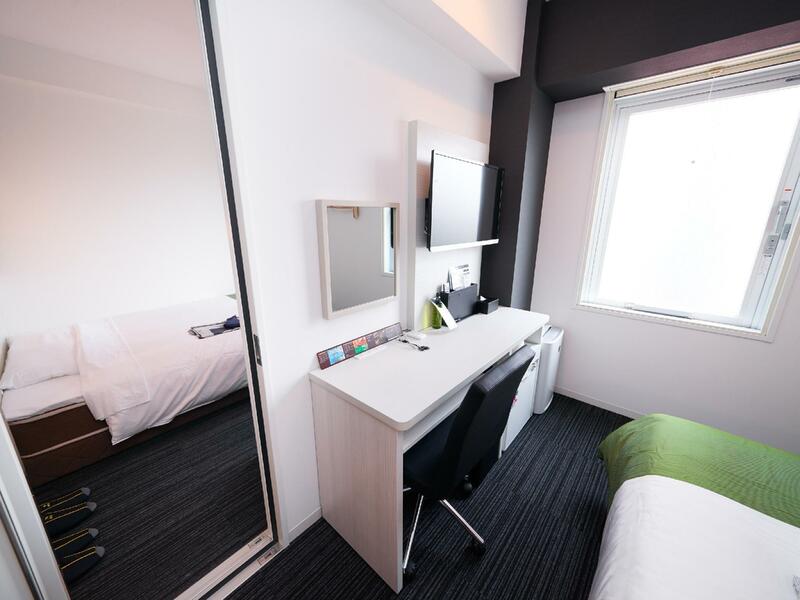 Hotel is clean, new and located in a quiet district below Shinagawa Station. The room was tiny but totally sufficient for the purpose. There is also a hot bath on the first floor and the employees are charming. Would definitively recommand this place. Booked a double room, got a double plus a single above it as a bunk bed. room had just about enough room to put two suitcases in stood up and walk past them to the bed. En suite, everything worked, everything a little cramped, but as expected for the price. Location was quite a trek from nearest JR station, but close to other local transport links. Some limited sightseeing in the area, but largely you'd want to travel to somewhere more interesting (we were only there one night, so no issue for us). Check-in was not possible until 3, they are strict on this, with no option to pay to check in early. Japanese breakfast buffet was ok and all you can eat. 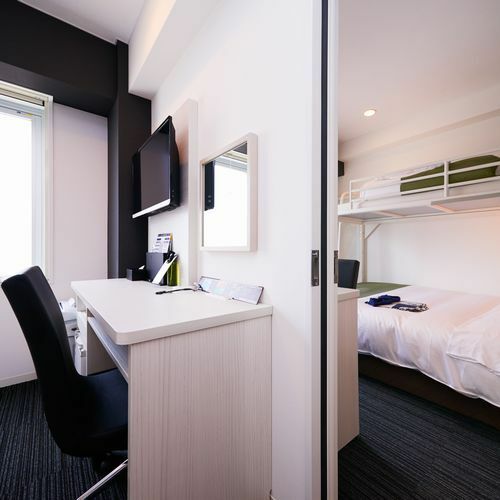 Overall a good, clean, hotel with nice staff, but if I planned to spend any time in the hotel other than sleeping I would go for somewhere bigger and more fully featured (and expect to pay more for that). Interesting location and near a train station although very confusing train system outside the metro system. Hotel room small but had everything and was warm and comfy during cold Dec weather. Breakfast was adequate considering the low rate and I would highly recommend this hotel. Staff were friendly although they seem tired during our stay. This hotel is super good! The staff can speak English and very helpful! The rooms are super clean and everything is in order. It is 5 minutes away from the train station (Shin-bamba Station) and there is grocery store infrony where you can be cheap bento. When I go back to Tokyo, I would want to stay here again. One thing though, the pillows is weird but non the less I enjoy my 7 days stay. Thank you very much. Great value hotel. I've stayed at Super Hotels multiple times and have always been satisfied. Staff was okay. Breakfast was great. Quiet area away from the busier parts of Tokyo. From Shinagawa station to Shinbanba station, it takes about 5 minutes by train plus 10 minutes on foot to the station. I will probably continue staying at Super Hotel throughout my stay in Japan. It takes about 10mins walking distance from Shinbanba station. You can choose the type of pillow you want. Every ladies are eligible to get 5 little gifts from the hotel. Hotel room is tiny which not allow us to fully open the 24" luggage. The breakfast is simple but delicious. Overall, okay. great stay. Staff were friendly and very accommodating. We got the small room compared with others in the hotel. We saw them as they were being cleaned. These rooms were so small we could not walk around on the floor with our two medium luggages. I stayed here for three days, and boy was it great. The staffs were nice and caring, trying to help in any ways possible, from offering you a cold drink upon checking in (because it was scorching hot that day), or an umbrella since it was pouring buckets. The shared bath was always well kept, and the complimentary breakfast was delicious as well. 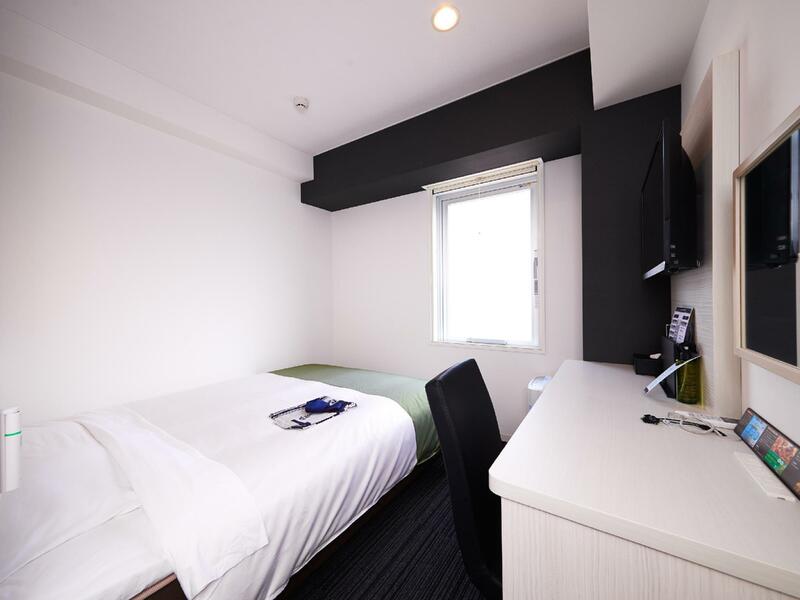 The hotel is located near a "shotengai" as well, where, although not the most crowded, various restaurants and shops are open for business. Also located conveniently close to the Shinbanba station (5 min walk), you can easily get to Shinagawa station to further your journey. It was sadly a bit far from the Rinkai-line (15min), which I frequented. The room itself was a bit small, with the bed and the table taking about 80% of the floor space. So the time spent in the room was all spent on the bed (not a nuisance for a solo traveler I'm sure). The shower was a bit tiny, but the shared bath was more than enough to accommodate. The window was smoked, so sadly you couldn't see outside, so it may feel secluded to some. I may make use of this hotel in the future again. The location was alright but the room was very small. The staff were superb, went the extra mile to help us even though we could only speak in English. So polite , courteous and cheerful. Super! We love the location near train station and in the middle of local resident. Staffs are very friendly and helpfull. Have hot pool and free beauty sample everyday. Hotel very clean, service with smile. 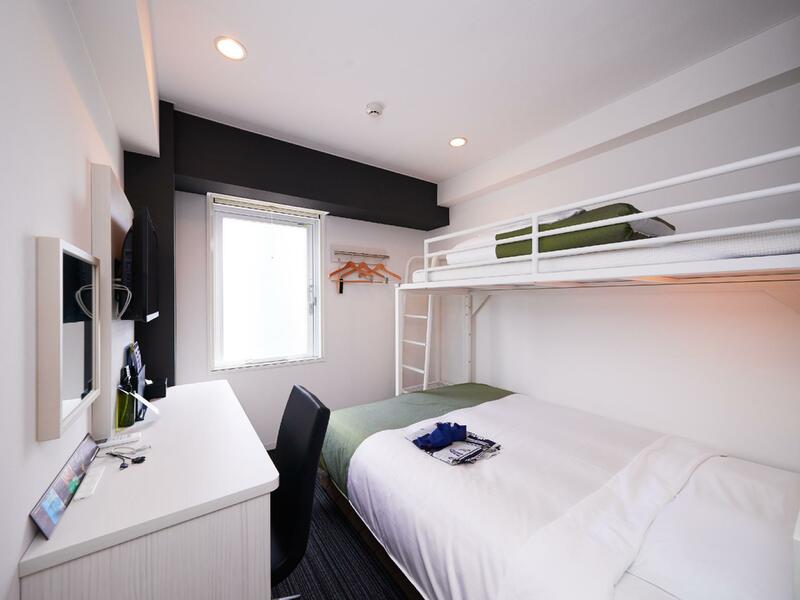 I booked room with 2pax but they charge me 3000yen per night for second guest. 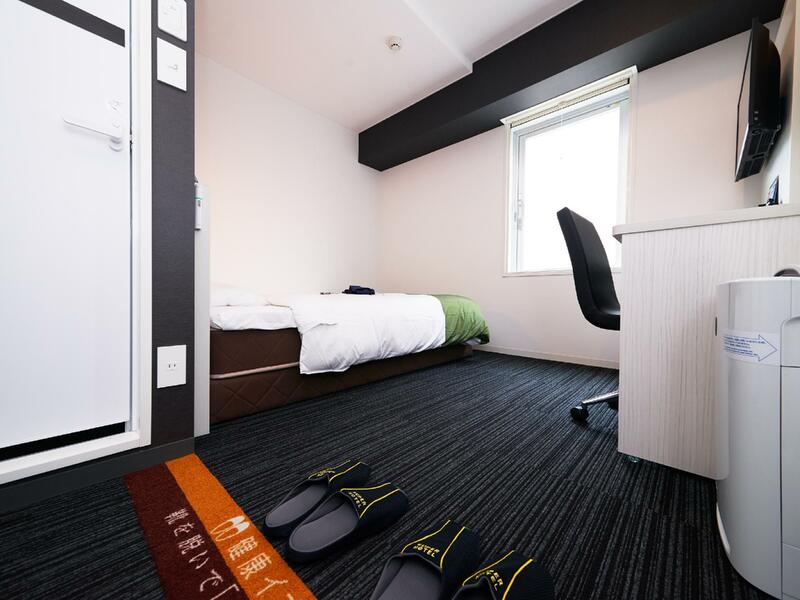 Typical Japanese hotel room size. Located at very quiet street. Close to Haneda airport and Yokohama. Nice breakfast and public bathroom.